A day after Prime Minister Narendra Modi appealed to the Kashmiri youth to shed terrorism and adopt tourism, Congress on 3 April, 2017 asserted that the former was known for tiptoeing around the main issue, but never takes any concrete steps in reality. "This is mere a Modi speech. He always comes up with new jumla and never talks about any concrete policy. What advantage had he taken out of the time when the situation was normal in the Valley. He just knows how to scream about terrorism and non-terrorism. Is this any policy? 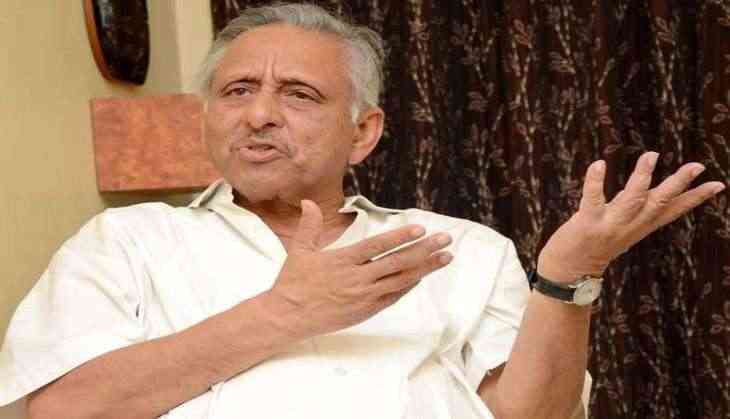 Is this how a Prime Minister should behave?," Congress leader Mani Shankar Aiyar told ANI. Prime Minister Modi on 2 April, 2017 asked the youth to shed terrorism and adopt tourism, adding that the path of bloodshed would never help the state to prosper. "The youth of Kashmir have a choice to select one of the two paths- one of tourism the other of terrorism. The path of bloodshed has not helped any one and will never help anyone," Prime Minister Modi said while addressing a rally in Udhampur. Earlier, Jammu and Kashmir Chief Minster Mehbooba Mufti called for dialogue to pacify the unrest prevailing in the state while asserting that the government will talk to the youth involved in violence and stone pelting. "We will try to talk and listen to the problems of the youth who are involved in stone pelting. Our youth are very talented but they are trapped in this situation," Mufti told media. Mufti further said the state government would try to make way for the youth to get them out of the adverse situation.